Slum Soccer held their event Sunday, June 28th in Nagpur, India. 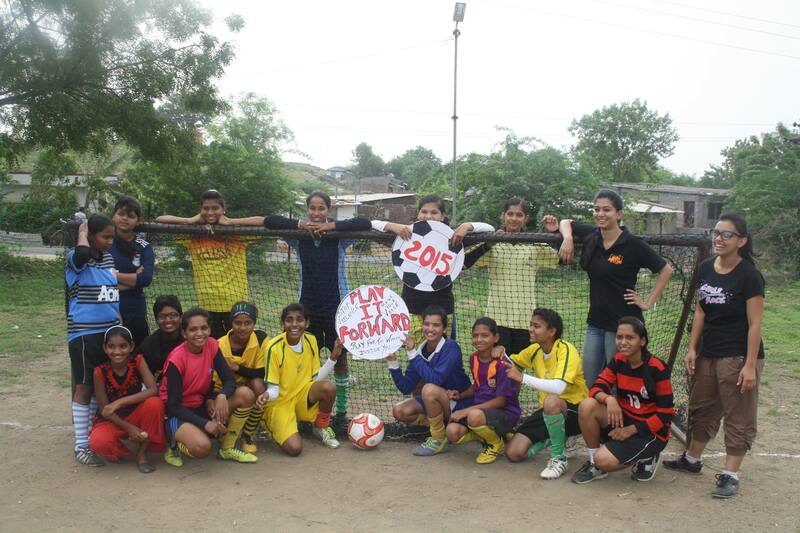 “Slum Soccer in collaboration with 94.3 MY FM celebrated the 2015 year of women in sports as part of the global campaign ‪#‎PlayitForward‬. Slum soccer hosted the event at its home ground at Bokhara, ‪#‎Nagpur‬. It was football at its best where slum soccer girls, our volunteers, My FM team, the Orange city cycling revolution – Nagpur one of our support group of cyclists played for 20 min & 15 seconds to ‪#‎stopviolenceagainstwomen‬. The event began with a #playitforward ‪#‎pledge‬. RJ Preeti from ‪#‎943fm‬ headed the pledge taking ceremony. 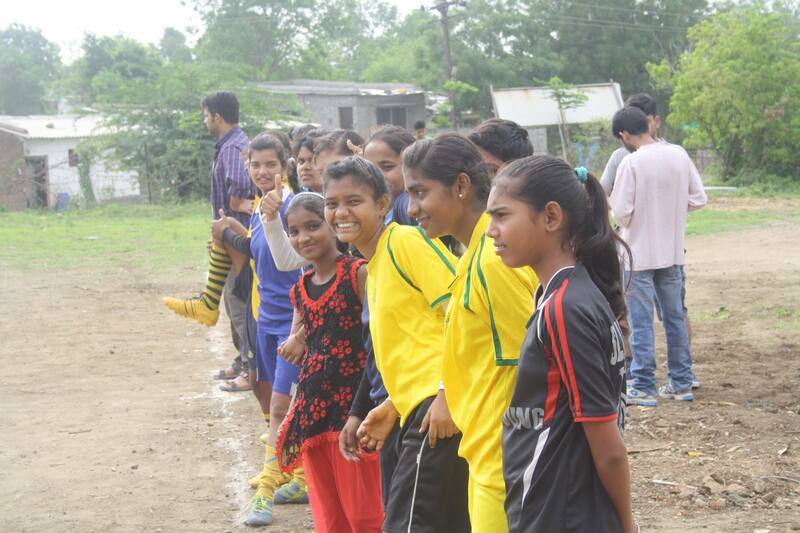 The kickoff was done by slum soccer girls and two consecutive matches were played where 30 girls participated. Later a friendly match between the volunteers and the orangers was played. It was wonderful to see that so many male members coming up and playing with the motto to promote soccer amongst women. 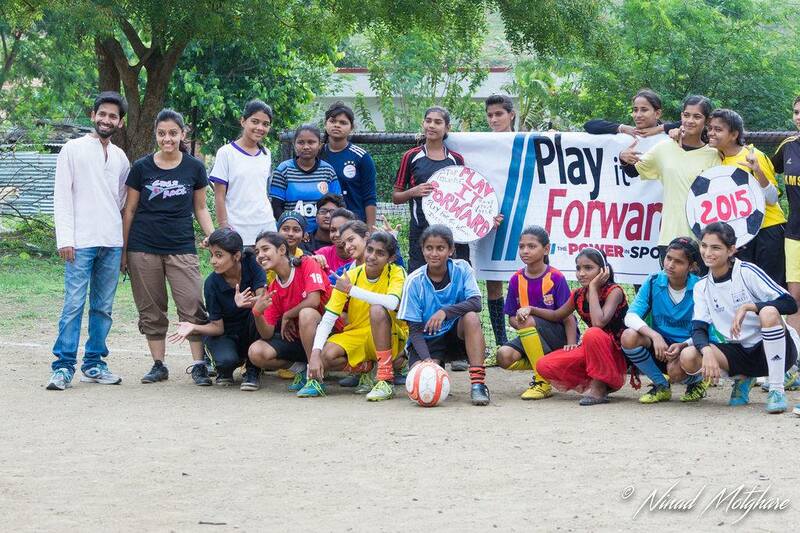 The slumsoccer girls were excited as they were a part of Play it forward and could associate themselves to the on going ‪#‎FIFAWomensworldcup‬ in ‪#‎Canada‬ with a dream that someday they can represent ‪#‎India‬ at such a platform. THANK YOU SLUM SOCCER for all that you are doing for girls in India! To see more photos, click here and you will go to our photo album.